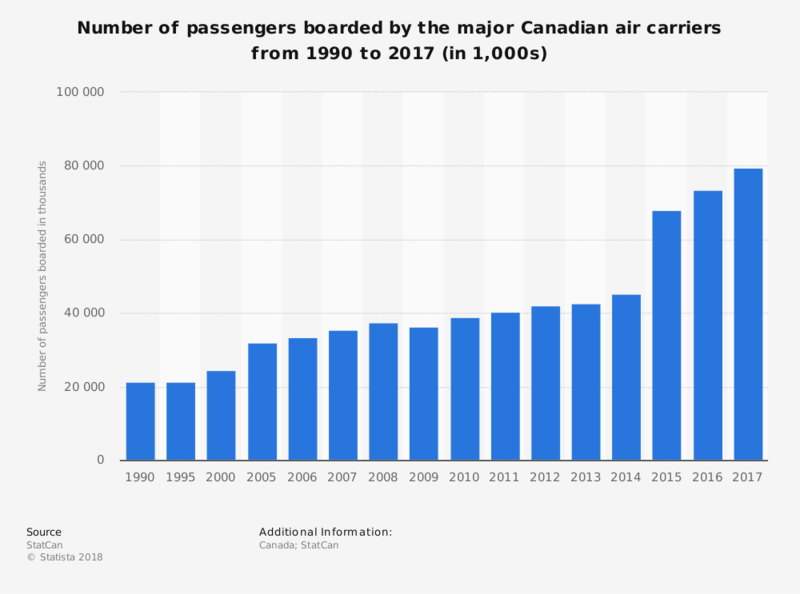 The Canadian airline industry is dominated by a duopoly of Air Canada and a low-cost airline provider called WestJet. There are charter operators and regional operators which supplement the industry as well, serving small niche segments of the market. Air Canada provides direct employment opportunities for over 26,000 people each year. Its passenger transportation services generated over C$14.6 billion in 2016. More than 48 million people are carried by Air Canada to their destination each year, with over 85 billion revenue passenger miles generated. WestJet was able to generate about C$4.1 billion by providing transportation services to over 100 destinations and over 24 billion revenue passenger miles created. In total, the pre-tax profits that are expected from the Canadian airline industry each year are about C$1.5 billion. The Canadian airline industry follows the U.S. airline industry with its growth patterns in many ways. To use an analogy, the U.S. airline industry would be like the price of gold, while the Canadian airline industry would be like the price of silver. Both rise and fall in a similar pattern, with each offering value to the consumer, but one is more valuable than the other. 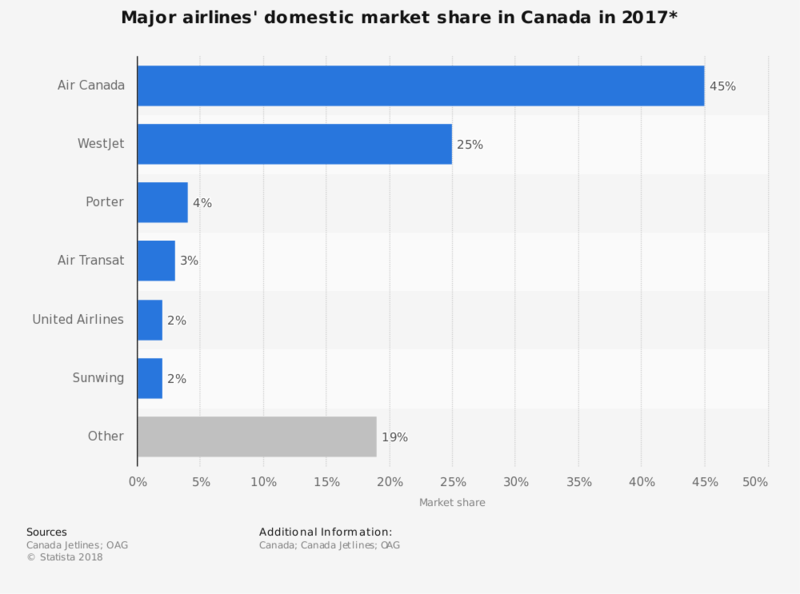 There are several reasons why the Canadian airline industry may be able to break out of this long trend of parallel growth to its neighboring competitor. For starters, Canada has been actively pursuing liberalized agreements since 2006, with the inception of its Blue Sky Policy. There are now 98 partners where Canada has bilateral air transportation relations, with open agreements that cover more than 40 countries. At the same time, however, most of the aircraft used by the Canadian airline industry is for general aviation purposes only. GA is the only service provided in most Canadian airports, especially in the northern provinces. Passenger miles, revenues, and profits are expected to continue growing over the next 5-year period, though the price of oil will directly impact the final figures. If the price of crude oil reaches $75 per barrel, the revenue forecasts for the industry could be cut by more than 50%. Even so, the industry should still be able to achieve C$1 billion in profits each year, pre-tax, as growth opportunities continue.